Outstanding Capture! Love the Clarity! Nice. Water takes you by the hand and leads you step by step, to the end of the lake, the cascades and finally to the bridge. I'd love to take a dip in there! Beautiful serene place!! Nice capture!! Terrific framing and color contrasts! wonderful place and work ! Such a beautiful location. Looks like an idyllic place. 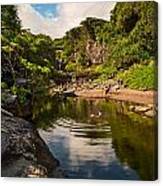 The Seven Sacred Pools, or the Oheo Gulch are the most popular attraction in East Maui. Beautiful waterfalls and pools in an absolutely stunning setting. The Oheo Gulch is an idyllic valley cut deeply over countless millennia by an equally idyllic rainforest stream. 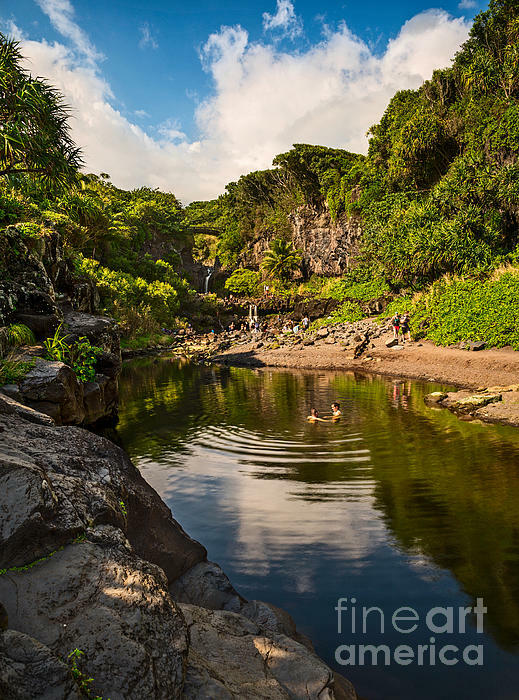 The stream is punctuated regularly along its course by cascading waterfalls and plunge pools until it empties into the deep-blue Hawaiian ocean along the rugged Kipahulu coastline.